This week our tour through Pennsylvania takes us to Butler County (Bt) where we will sketch some of the historical and archaeological resources, events and people of this county. Located in the Pittsburgh Low Plateau Section just north of Pittsburgh, Butler County is in the heart of the Upper Ohio Valley where a large number of archaeological sites have been recorded by the Carnegie Museum of Natural History and the Pennsylvania Historical and Museum Commission’s (PHMC), Pennsylvania Archaeological Site Survey Program (P.A.S.S.). As we journey back in time we begin with a notable incident that occurred during the mid-18th century involving the Father of our Nation, when Butler County had not formed and the region was the western frontier of Pennsylvania filled with danger and intrigue. The year was 1753, two days after Christmas on a return trip to Virginia, a young George Washington was nearly killed by a hostile Indian. 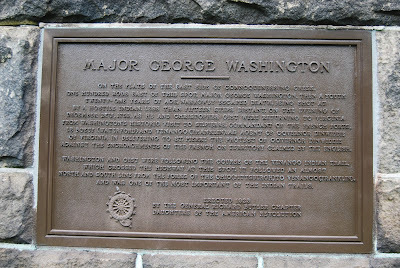 The specific location where Washington’s brush with death took place is not precisely known but historians say the incident occurred near Evans City, at an Indian town known as Murthering Town or Murdering Town (Donehoo 1928:123. 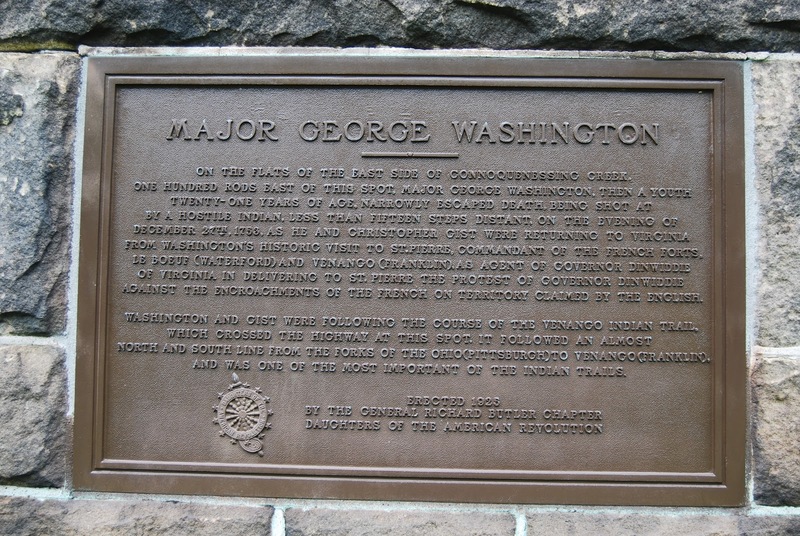 Washington’s journal for that day reads “The day following, just after we had passed a place called Murdering Town, we fell in with a party of French Indians, who had laid in wait for us. One of them fired at Mr. Gist or me, not fifteen steps off, but fortunately missed. We took the fellow into custody, and kept him until about nine o’clock at night, then let him go, and walked all the remaining part of the night, without making any stop, that we might get the start so far as to be out of reach of their pursuit the next day, since we were assured they would follow our track as soon as it was light. The next day we continued traveling until quite dark, and got to the river about two miles above Shahapins”. (Sipe 1929:148).This event was one of several which preceded the struggle for control of this territory by French and British troops during the French & Indian War. Native Americans who had occupied these lands long before this western expansion by colonists were swayed by troops to aid in their agendas. Archaeological evidence of Native peoples in Butler county dates as early as the Paleoindian period about 16,000 years ago. Many of the high quality lithic materials found on the prehistoric sites of Butler County are from Ohio sources. Vanport cherts from the Flint Ridge, Coshocton from northeastern Ohio are two principal materials found almost universally on Butler County sites. Pebble cherts from glacial drift deposits are also quite common particularly these secondary souces were used extensively during the Late Archaic, Late Woodland and Late Prehistoric periods. 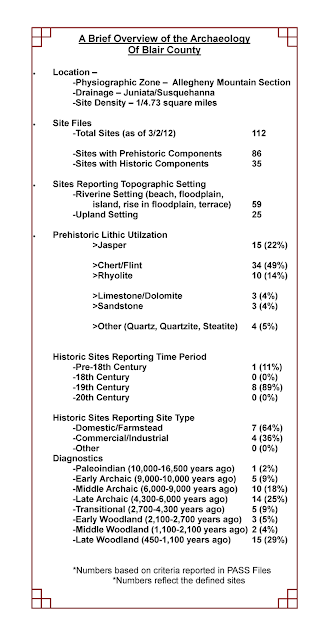 Of the 432 sites recorded in the PASS files 370 are prehistoric and 95 are historic. Most are in upland settings but 146 are located in riverine settings. In descending order of frequency prehistoric sites are as follows: Late Archaic, Middle Woodland, Early Woodland, Middle Archaic/Late Woodland, Transitional, and Paleoindian/Early Archaic. 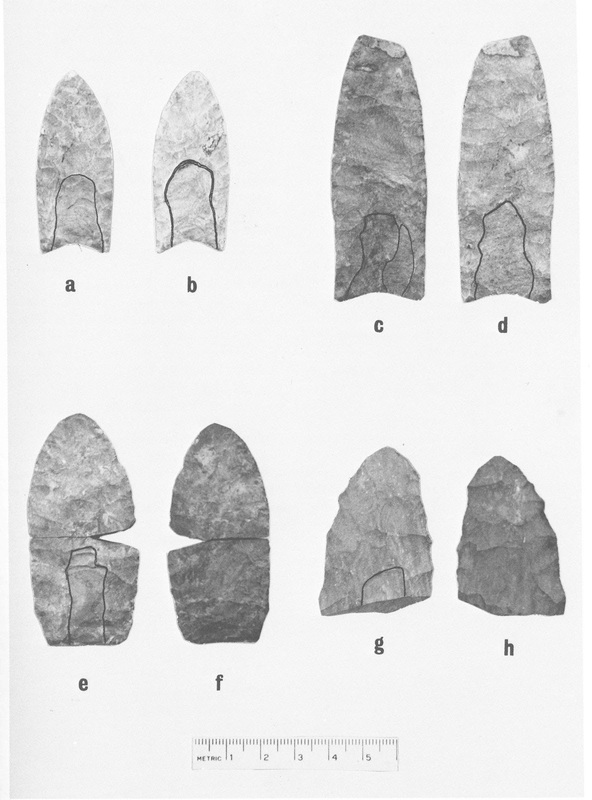 Paleo-Indian occupations in Butler County are indicated by the presence of fluted point assemblages. 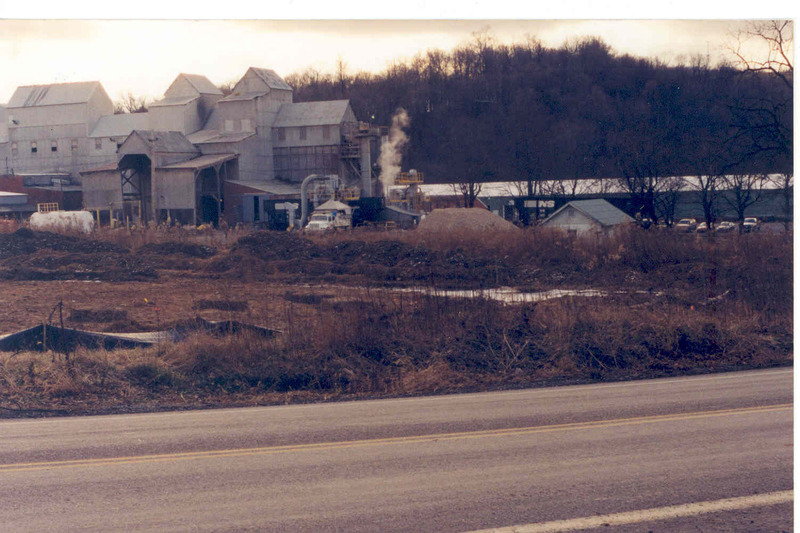 The Kellogg Farm site (36BT7) near Slippery Rock, Pennsylvania (McConaughy et al. 1977). At this site at least two finished fluted points and two fluted performs made from high quality chert, probably derived from source(s) in northeast Ohio. 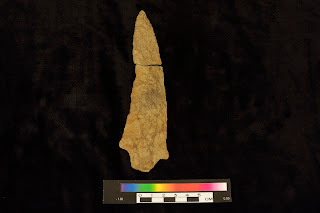 A second tool type called a Mungai Knife, also made from a high quality chert is similar, in its morphology, to the type specimen found at Meadowcroft Rockshelter in the Cross Creek drainage of Washington County, Pennsylvania (Adovasio et al. 1975). According to the PASS data base at the PHMC ten other fluted point finds have been documented for Butler County. The Wolf Creek site (36BT82) a.k.a. College site is located on Slippery Rock University of Pennsylvania property. The site was the focus of the University’s Field School Program in Archaeology between 1979 and 1993 (Skirboll and Hanson 1996). Tradition has it that the location was a Kuskuski Indian camp of the historic period although no actual archaeological or historical evidence confirms that assertion. 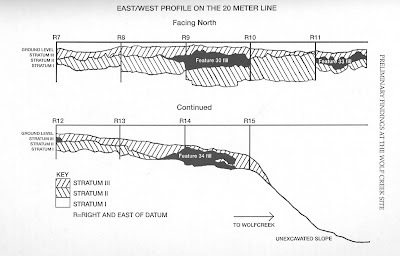 Subsurface testing along the known boundaries of the Wolf Creek site conducted in 1993 revealed the presence of three, assumed contiguous, soil horizons. A radiocarbon date of 16,320+/-970years B.P. was obtained from the deepest stratum. No cultural evidence was found in this stratum but the overlying strata contained prehistoric and late historic period artifacts. Included in the recovered inventory of diagnostic artifacts is an Early Archaic period Kirk Corner-notched point, a Middle Archaic period LeCroy point, various point types of the Late Archaic period and a host of Woodland points. Other stone tool types include drills, scrapers, bladlets and non-diagnostic bifaces. Over four hundred grit tempered pottery sherds were also recovered that were tentatively identified as Mahoning Cordmarked (Mayer-Oakes 1955: 191-192). Testing also revealed the presence of twenty-one pit features at the Wolf Creek site. Most were fire pits, others were historic disturbances and one (Feature 28) was a clay lined ash filled pit overlain with burned limestone fragments which the researchers have defined as a processing area where limestone was burned for use as pottery temper. Several circular-shaped cobble based features are assumed to have functioned as roasting pits. 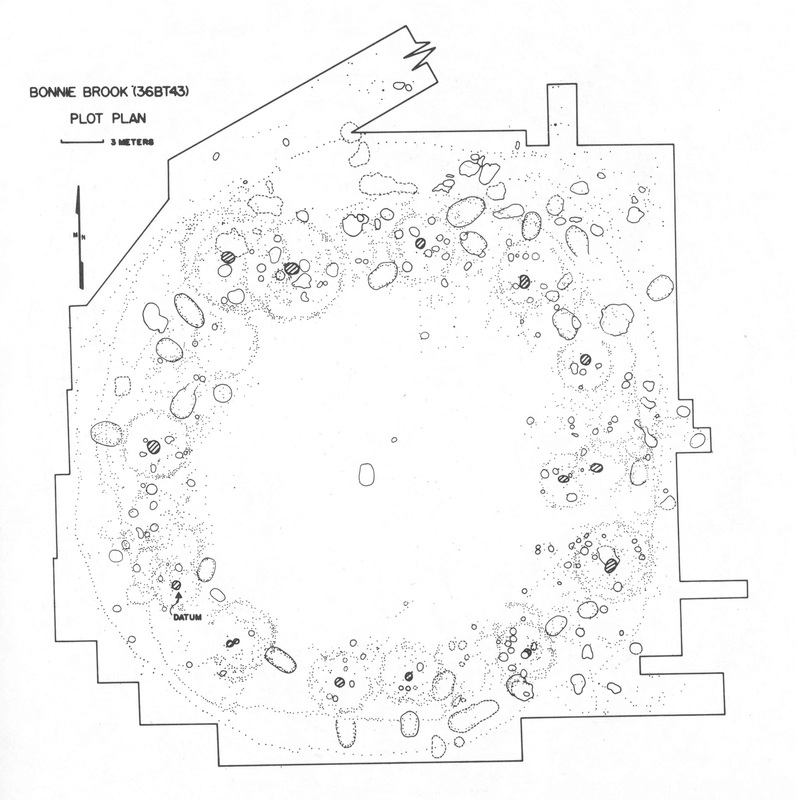 The Bonnie Brook site (36BT43) is a multicomponent prehistoric site with two major Johnson Phase Monongahela villages. Located along Connoquenessing Creek on the outskirts of Butler City the Bonnie Brook site is likely the northern most village site of the Upper Ohio Valley’s Monongahela Culture Mayer-Oakes 1955). In the summer of 1977, staff archaeologists from the Section of Man, Carnegie Museum of Natural History totally excavated the site and recovered important information on Monongahela community patterns and material culture (Herbstritt 1981). The project was undertaken to recover archaeological resources prior to the construction of a phosphate removal facility proposed at the location by the Butler Area Sewer Authority. Pre-Woodland-Late Prehistoric material evidence recovered from the site include Early through Late Archaic, and Upper Ohio Valley Transitional. In addition to a late Dalton-like biface, diagnostic projectile points/knives are: Kirk, LeCroy,St. Albans Side-notched and a modicum of small Shriver-Brewerton-like side-notched and a small Ashtabula assemblage. Lithic preference of the earlier Archaic components seemed to have focused on better quality material with later occupations preferring the local pebble cherts from glacial outwashes. There were two Monongahela village occupations at the Bonnie Brook site. The initial village consisted of eight circular-shaped wigwam type houses surrounded by a single palisade line that was superimposed by a second village of ten wigwams and a palisade. The second palisade had a bastion-like feature built onto its wall located on the northeast side of the village. Some of the houses of both Monongahela occupations had attached appendages made in typical Monongahela style. Houses and a palisade section of the first village had burned at some point in time but it is not known if the burning had transpired during occupation or after its abandonment. The 236 pit and hearth type features recorded at the Bonnie Brook site are assumed associated with the Monongahela occupations. 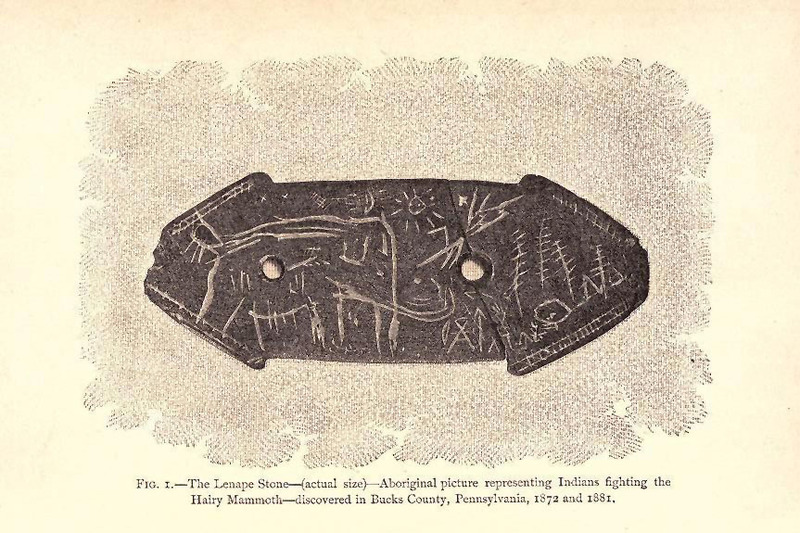 With the exception of hearths and amorphous burned stains these features contained typical Monongahela artifacts – pottery, triangular bifaces, so-called strike-a-lites, drills and triangular-shaped performs and blanks. Anvilstones, pitted stones and a broken discoidal or “chunky” stone were also recovered. A small group of bone and shell artifacts included bone and shell beads, bone awls, a turtle shell cup fragment and an antler drift. Drilled pendants included imitation cannel coal teeth or claws and a black bear’s canine tooth. Ceramic artifacts were dominated by Monongahela Cordmarked pottery followed by ceramic disks and pipes. One pipe bowl fragment was made from a fine grained stone of a non-local source. An approximate estimated age of the Late Prehistoric occupations at Bonnie Brook site is around AD.1400 based on the ceramics and an uncorrected radiocarbon date of AD. 1415 which places the Monongahela occupations into the Johnston Phase. Two other uncorrected radiocarbon dates of AD.1765 and AD. 1770 are rejected on the absence of European derived trade goods and the fact that the Monongahela Culture disappeared from the Upper Ohio Valley by the first quarter of the 17th century. Closing in on the 21st century we turn our attention to two historic sites in Butler County where some rather interesting archaeology has been done. Archaeological investigations of the Butler County Historical Society owned properties, these Historic sites were investigated under the direction of Dr. Ed Dlutowski as a public outreach program, oriented toward bringing archaeology to the public forefront with a dual emphasis on grade school level students and retirees. An integral part of these programs came about through creation of the Junior Archaeologist Program and the cooperative efforts of Slippery Rock University’s Institute for Learning in Retirement. The Lowrie/Shaw House built in 1828 in downtown Butler City was originally the home of U.S. Senator Walter Lowrie. 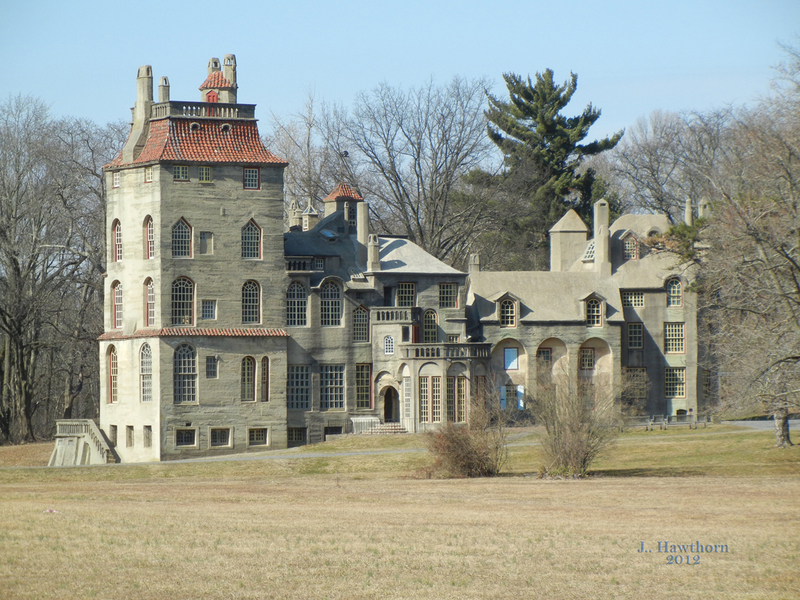 It is on the United States National Register of Historic Places. The Little Red School House , a one room school house built in 1838 was the first Public School in Butler County. Its occupational history after closure in 1874 included use as an office, library, meeting place and a Red Cross Center. 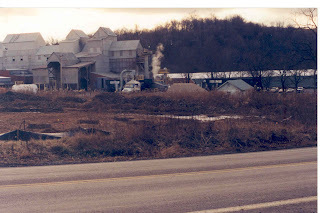 1981 Bonnie Brook: A Multicomponent Aboriginal Locus in West-Central Pennsylvania. Pennsylvania Archaeologist 51(3):1-51. 1955 Prehistory of the Upper Ohio Valley. Annals of the Carnegie Museum, 34(2). 1977 Fluted Points from Slippery Rock, Pennsylvania. Pennsylvania Archaeologist 47(4):30-36. 1929 The Indian Wars of Pennsylvania. The Telegraph Press. 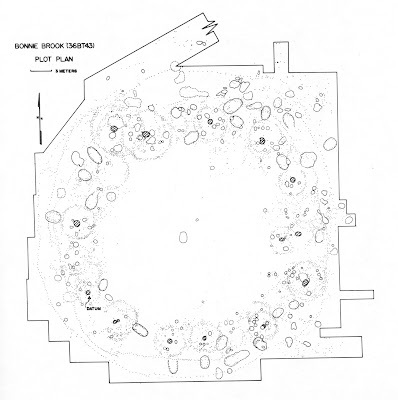 1996 Preliminary Findings at the Wolf Creek Site (36BT82), Butler County, Pennsylvania. Pennsylvania Archaeologist 66(1):54-67. Bucks County: In the 19th century, major excavations were conducted concerning the presence of Pleistocene Man in the New World. This week we travel to Bucks County in the Middle Delaware drainage basin. 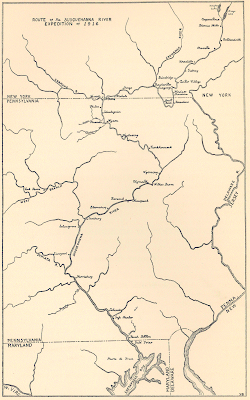 The county is situated in the Piedmont physiographic zone, Gettysburg-Newark Lowlands section. The Delaware River forms its eastern border. The largest streams are the Neshaminy and Tohikon creeks. The county contains a wide variety of resources that were useful to both historic and prehistoric peoples. Bucks County has a high density of sites (1 site per 1.46 square miles) and there are 422 sites recorded in the Pennsylvania Archaeological Site Survey files. They include sites dating from the Paleoindian period (16,000-10,000 years ago) through the 20th century. The region has been occupied by Europeans since the 17th century and contains many historic archaeological sites. 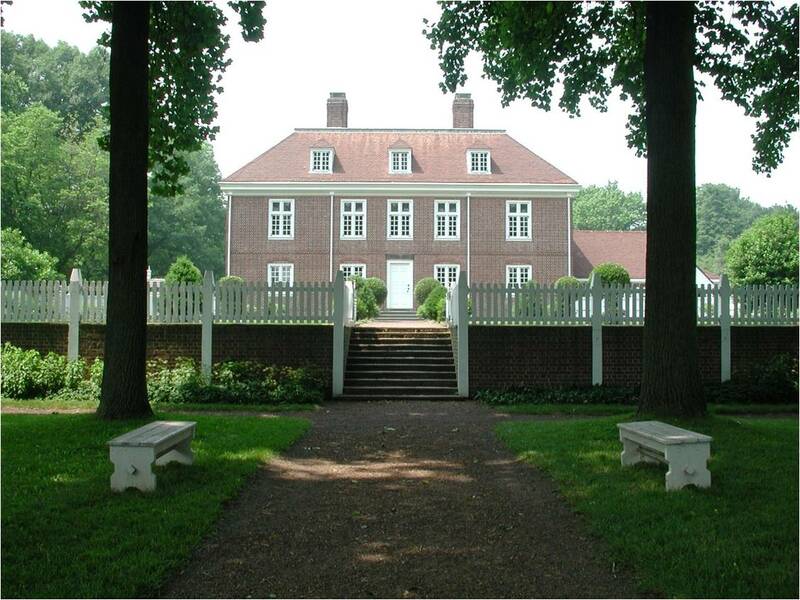 One of the most important sites is Pennsbury Manor (36Bu19), home of Governor William Penn. Excavations were conducted here under the direction of the Pennsylvania Historical Commission (PHC), today known as the Pennsylvania Historical and Museum Commission, with Donald Cadzow supervising the investigation from 1932 thru 1936. 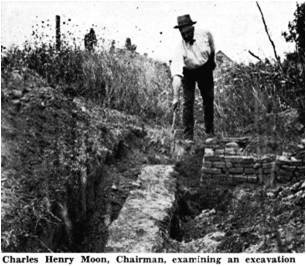 Charles Moon, a member of the Commission and a direct descendant of Penn’s caretaker, was instrumental in facilitating the excavations. It was the hope of the Commission that they could create a popular historical attraction similar to those being built in Virginia at Mt. 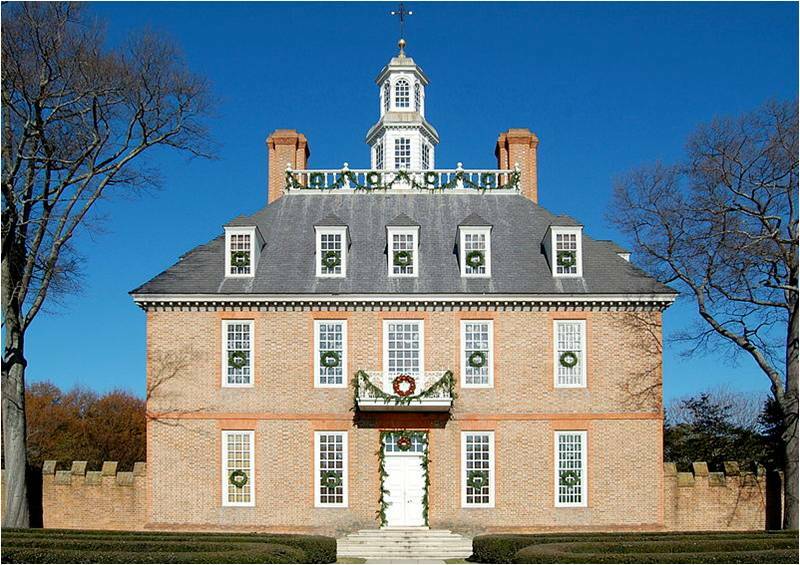 Vernon and Colonial Williamsburg. Funding obtained through New Deal federal relief programs provided resources necessary for the archaeology to be conducted at this important historic site. 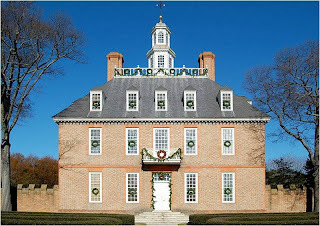 Foundations and a few of the outbuildings were identified by Cadzow, but unfortunately the archaeology was basically disregarded in favor of a style of reconstruction mimicking the Governor’s Mansion at Colonial Williamsburg. Several stratified sites have been excavated along the Delaware River. The Pidcock sites (Pidcock North 36BU0155 and Pidcock South 36BU0154) near Washington’s Crossing contained Late Archaic Vosburg and Lackawaxen components, a late Middle Woodland net impressed pottery component and several Late Woodland components including Overpeck Townsend and Chance ceramic types. These sites are well stratified and were reported by Stephen Tull in Pennsylvania Archaeologist (1993 63(1):10-49). Although dominated by argillite, a Late Archaic cache produced seven chert bifaces and seven jasper bifaces. The Late Woodland component marks a change from the exclusive use of argillite to the use of local cherts for stone tools. This pattern is observed at most sites in the Middle Delaware. As observed by Mr. Tull, there was no Early Woodland component which is another pattern observed at many stratified sites in the region; the major exception is the Williamson site in New Jersey (28Hu15). It is suggested by Mr. Tull that Early Woodland sites have been destroyed through erosion or that there is a change in site distributions for that time period. There are 31 rockshelters recorded in the PASS files. Many of these were tested and reported in the Pennsylvania Archaeologist by William Strohmeier (Unami Rockshelter - 1980, 50(4):1-1; Rich Hill Rockshelter - 1985 55(4) 4-11; Thousand Acre Rockshelter No. 1 and Buttercreek Rockshelter - 1988, 58(1):1-6). These reports were important because Mr. Strohmeire was careful to illustrate the variety of pottery types recovered from these sites. The State Museum has a collection from the Eel Skin Rockshelter containing a wide variety of ceramic types that includes Susquehannock pottery from the Susquehanna Valley. The array of pottery indicates these sites were used by a variety of cultural groups. Most of the rockshelters are not large, suggesting short term stays by families or hunting parties using them as “prehistoric motels”. The Eel Skin Rockshelter site (36Bu59) dates between Late Archaic and Late Woodland times. It contained large quantities of argillite debitage representing the entire continuum of lithic reduction. The site is situated about five miles from the argillite quarries which were a major lithic resource within the county. This argillite material is part of the Lockatong Formation that stretches in a band from the Schuylkill River well into New Jersey. The argillite quarries in Pennsylvania are found along the Delaware River. Argillite was heavily used from Middle Archaic up to Late Woodland times and traded throughout New Jersey and Delaware, especially during the Transitional period. A major quarry site is found along Gaddis Run near the village of Point Pleasant. The Lower Black’s Eddy site is a well stratified site situated along the Delaware River at Point Pleasant. This site was first excavated in the 1890’s by Henry Chapman Mercer and played a major role in the search for “Pleistocene Man” in the New World. Charles Abbott had created a controversy when he observed artifacts in the Pleistocene gravel beds near Trenton, arguing for the great antiquity of Indians in the New World. At the same time archaeologists were documenting artifacts found at Early Pleistocene sites in Europe. 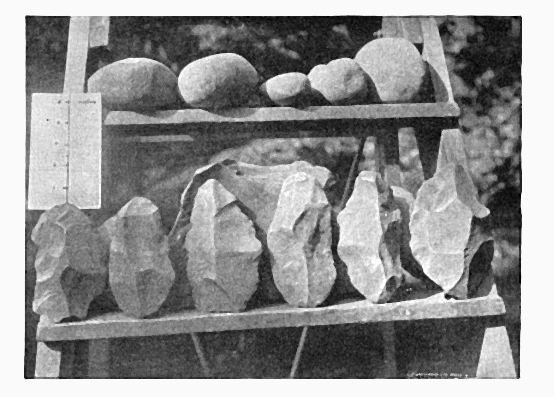 Abbott and others were convinced that handaxe-like implements (so-called “turtlebacks”) were analogous to the Paleolithic tools of Western Europe and that the stratigraphic position of these artifacts in gravel beds found along the Delaware River supported a comparable antiquity. Mercer, a renaissance man from Doylestown who was at once an antiquarian, a historian, an archaeologist, and the maker of ceramic tiles, including the decorative tiles installed in the Pennsylvania State Capitol, conducted extensive excavations at the site of Lower Black’s Eddy site. Initially, he was motivated to support Abbott’s claims. He had written a book in 1885 (the Lenape Stone, or the Indian and the Mammoth) supporting the purported antiquity of the Lenape Stone which was discovered in New Jersey. 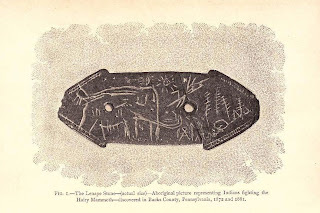 This now discredited artifact is a gorget, depicting a mammoth and Indian figures suggesting that both existed at the same time in the New World. However, after his excavations at Lower Blacks Eddy, he changed his mind. Through his excavations at this site, he was able to link the technology used to manufacture the “turtlebacks” to the finished and common styles of Indian projectile points thus demonstrating the post-Pleistocene age of the these artifacts. Ironically, it took another 35 years for archaeologists to prove the Pleistocene age of Indians in the New World. 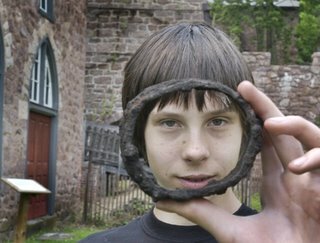 We hope you’ve enjoyed this glimpse into the archaeology of Bucks County and that it inspires you to learn more about the archaeology of your county. These resources are Pennsylvania’s heritage and for all of us it is our window into the past. Please help us preserve these important resources by reporting and recording your archaeological finds while we all Preserve our Past for the Future. Bradford County contains a wealth of archaeological heritage as evidenced in the many sites recorded in this rural county. 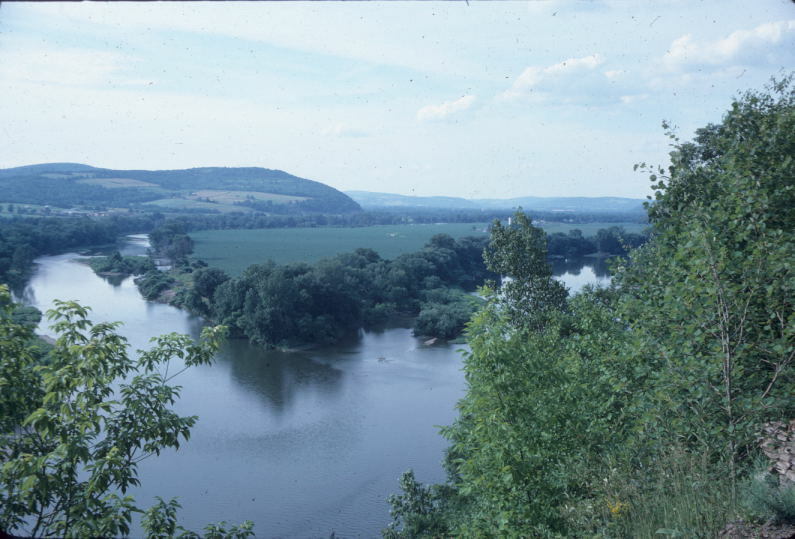 Situated in the north east corner of Pennsylvania along the New York border, this river valley has been subjected to many floods, the most recent flooding occurred here in the fall of 2011. These repeated floods replenish the soil rendering them ideal for agriculture. Agriculture was the leading industry of Bradford county after 1800, and in the period from 1850-1900 it led the nation in buckwheat production. Other industries included grist mills, lumbering, coal mining and iron ore production, the latter of which depended on the North Branch Canal to transport their goods. Bradford County has a rich legacy of archaeological investigations, beginning with Harrison Wright’s 1883 report on a Susquehannock burial ground located on South Main Street in Athens. This work was done under the auspices of the Wyoming Historical and Geological Society, located in Wilkes-Barre. The Susquehanna River Expedition of 1916 is another notable event, with excavations occurring at several Bradford County locales. Warren K. Moorehead led this survey project, which was financed by the Museum of the American Indian, Heye Foundation, and sponsored by the Pennsylvania Historical Commission, precursor of today’s Pennsylvania Historical and Museum Commission. This Expedition was focused on surveying Native American sites along the entire length of the Susquehanna from the North Branch to the Chesapeake Bay. The origin of the Susquehanna River is near Cooperstown, New York making it the longest river on the East Coast as it travels 440 miles before emptying into the Chesapeake Bay. The significance of this information is that the river served as a major transportation route not only for Native Americans, but early settlers also depended on the river. All of this activity is supported by the concentration of archaeological sites along the river. Bradford County is 1161sq. miles of which 1,151 square miles are land and 10 square miles (0.89%) is water. Bradford County has 292 archaeological sites; 240 (or 82%) of those sites are recorded in a riverine setting. 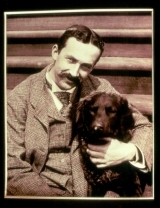 In 1931, James B. Griffin, who would become one of the most influential archaeologists in North America in the 20th century, also reported on excavations in the Athens area for the Tioga Point Museum. In fact, evidence of Owasco and Susquehannock cultures from the Late Woodland period (800 A.D. – 1500 A.D.) also came to light during construction of the museum in 1897-98. Griffin excavated at the Ahbe-Brennan site (36Br42) in 1931 with oversight by Donald A. Cadzow of the Pennsylvania Historical Commission. Griffin exposed twelve pits identified as hearths and refuse/storage pits. Additional excavations in 1933 recorded an additional ten pits all dating from the Late Woodland and early Contact period. 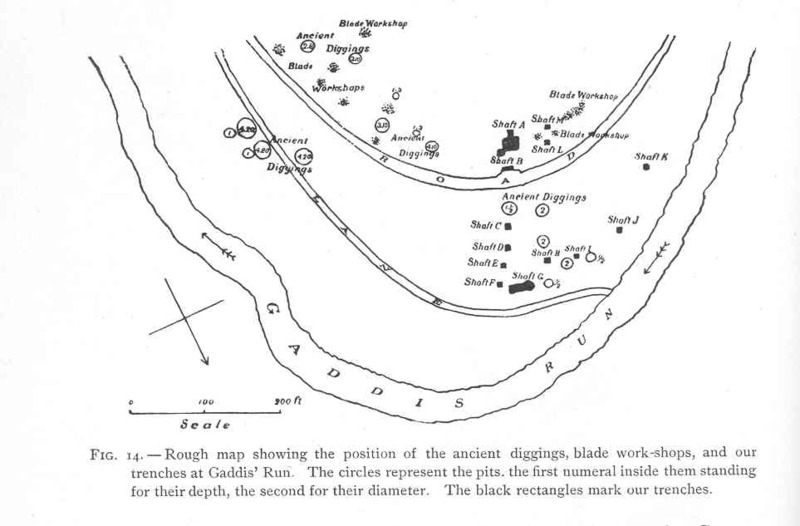 These early surveys and archaeological investigations of Bradford County provided the Commission with site location information which would lead to additional professional excavations for decades to come. In 1975 the Pennsylvania Historical and Museum Commission returned to the Bradford County area to investigate early Susquehannock sites. A long standing theory is that the Susquehannock culture originated in this part of northern Pennsylvania and was influenced by the Seneca/Cayuga of the western Finger Lakes region of New York. The PHMC’s involvement stemmed from a larger study of Susquehannock Culture History that culminated with publication of SUSQUEHANNA’S INDIANS (Kent 1984). Five weeks were spent in the field investigating the Kennedy (36BR43) and Blackman (36BR83) sites. PHMC was fortunate to have the assistance of Messrs. Charles Lucy and Elwin Gillette from the Bradford County area. These men graciously provided site information leading up to the PHMC field study. Aided by students from Kings College, under the direction of Leslie Delaney, museum staff archaeologists opened a large section of the Kennedy site where Delaney and his students found evidence of several Susquehannock features the previous year. 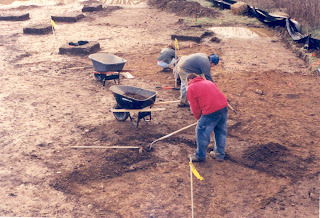 The 1975 excavation revealed numerous pit features and the post-molds of a longhouse 65 feet in length in an exposed area of excavation totaling 6,750 square feet. The site proved to have a series of multi-component occupations extending back in time from the proto-Contact period to the Late Archaic period. The dominant occupations, however, related to the Early and Middle stages of Owasco culture. Many pit features of this period were clustered in and around the longhouse pattern suggesting contemporaneity. Only slight evidence of a Susquehannock occupation was found. A short distance down river from the Kennedy site is the Blackman site. Part of the site has been encroached on by a mobile home park in past years. As with Kennedy, the Blackman site is multi-component with diagnostic projectile point types representative of the Late Archaic, Transitional and Late Woodland periods. A large block excavation 8,000 square feet in size was opened by museum staff in the general location where Susquehannock artifacts were exposed after the Agnes flood of 1972. Intersecting arcs of post-molds were found that formed parts of two palisade lines. Curiously, there were no internal structural features associated with the palisades. Inside and around the palisades were features of various types but none belonged to the Susquehannocks. Instead, most of the pit features were associated with a Proto-Susquehannock occupation at Blackman. These features were generally deep straight-sided pits or straight-sided pits dug through shallower basin-shaped pits that affectionately became known by the field crew as “inverted hat-shaped pits. Both pit types frequently contained lenses of carbonized grass, fire-cracked rock, soil mixed with charcoal and wood ash. While PHMC archaeologists and local avocational archaeologists have investigated several other Bradford County sites during the last quarter of the twentieth century, it generally seems safe to say that more attention focused on Bradford County 100 years ago (and more) than in the more recent past. That is, until the Marcellus Shale gas drilling boom of the early 21st century. Driven by historic preservation regulations, most importantly, the National Historic Preservation Act of 1966, more archaeological investigations have been carried out in Bradford County over the past few years than ever before. 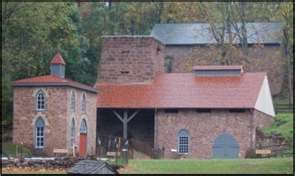 For the Federal Fiscal Years (FFY) 2006 through 2008, the Bureau for Historic Preservation (BHP) reviewed 3 archeological projects in Bradford County. In FFY 2009 through 2011, 79 projects were reviewed in the county and in the current FFY there have already been 38 projects reviewed. If this pace continues, an estimated 80 projects could be reviewed in Bradford County this year alone. Since the pace of the gas industry in the Northern Tier continues to increase, we can project over 250 projects over the next three years in Bradford County. With all this work being done, you would expect that the amount of archaeological data coming in to be at the same greatly increased pace. Unfortunately, this is not the case. Marcellus Shale projects are permitted by the Department of Environmental Protection (DEP), the Army Corp of Engineers (Corps), and Commonwealth land holding agencies such as the Game Commission and DCNR. The vast majority of these projects are permitted by the DEP and the Corps on private land. For projects on Commonwealth lands, the BHP has the authority to require survey, but on private land the BHP acts in an advisory capacity to the permitting agencies. For DEP permitted projects without state funding on private land, archaeological survey is the responsibility of the Pennsylvania Historical and Museum Commission under Act 70 of the Pennsylvania History Code. The Commonwealth Archaeology Program was created to do these surveys; however, this program was eliminated as a result of budget cuts in the past decade. As a result, the only archaeological survey being undertaken for Marcellus Shale on private land is under the jurisdiction of Corps permits. These permits are mostly issued for gas gathering lines that run from the gas wells to the interstate transmission pipelines and the permit areas usually extend 100 feet (30 meters) from the edge of wetlands, streams, and rivers. The wells and pads and associated holding ponds are not usually issued Corps permits so they are not surveyed. The result of this bureaucratic maze is that even with the large numbers of surveys being undertaken, the areas being surveyed are not very large and they are not necessarily archaeologically sensitive or, using lingua bureaucratica of the BHP, in areas of high probability for archaeological resources. When the BHP comments on a project, we look at the entire project area regardless of the overlapping agency jurisdictions. For gas lines, we comment on the project area from the beginning to the end and a statement of high probability of archaeological resources speaks to archaeological sensitivity within the project area in its entirety. High probability areas in the Northern Tier include floodplains and floodplain terraces, dry areas within 300 feet of wetlands and streams, hill benches, upland flats (in particular those backed by south facing hill slopes), and saddle depressions. Most sites in this area are found within 300 feet of water sources as mapped on USGS topographical maps; however, these maps do not necessarily catch intermittent and seasonal drainages that may have been utilized by prehistoric and early historic peoples. It also very well may be that proximity to water in itself may not have been as important as other topographic concerns. Since little work has been previously undertaken in most of the Northern Tier counties, much about prehistoric land use is still unknown. In this way, the Marcellus Shale boom has the potential to greatly add to our knowledge of the archaeology of this region if the projects are surveyed in their entirety. This is to say, of course, if the archaeologically sensitive areas are tested. What is being tested, however, is 100 feet from wetlands, streams, and rivers. Many of the areas being tested are narrow stream valleys with recent sediments and wetland margins which are not necessarily archaeologically sensitive. Terraces and hill benches in proximity to these topographic locations may be archaeologically sensitive, but they are not being tested owing to the regulatory framework. Broad floodplains outside of Corps permit areas, in some cases with known archaeological sites, are not being tested for the same reason. For some projects in the uplands, the effort to survey high probability areas would not be much greater than the effort already being undertaken; however, it would be a much better use of time and effort. We would be remiss if we didn’t mention one of those archaeological sites in an upland setting, the site of French Azilum. This is the site of a colony established for refugees from the French Revolution in 1793. Excavations conducted here by the PHMC under the direction of Steve Warfel found evidence of foundations and artifacts dating from that occupation. We hope that these glimpses into the archaeology of our Commonwealth will inspire you to take an interest in your local archaeological legacy. These resources are Pennsylvania’s heritage and for all of us it is our window into the past. Preservation of these archaeological resources is crucial to our understanding of our past. A special thanks goes out to this weeks guest bloggers for their contributions! Mark Shaffer and Steve McDougal are both reviewers in the Bureau for Historic Preservation. Travel this week with our team of archaeologists here at The State Museum of Pennsylvania to Blair County. 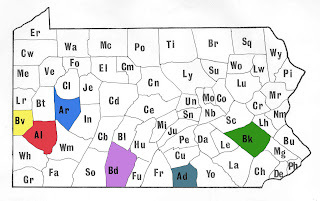 Blair County is located in south central Pennsylvania and is just 534 sq. miles, but it packs a lot into this acreage. Situated on the eastern side of the Allegheny Ridge; this ridge is the eastern continental divide between the east coast and the central plains. The ridge acts as the watershed boundary between the Ohio River to the west and the Susquehanna River to the east. Blair County has a topographic setting which is primarily mountainous with steep slopes and a high plateau between two broad valleys. Soils are generally limestone and shale in the valleys with sandstone and conglomerates on the ridges. High-quality cherts, and quartzite were utilized by Native peoples in tool making as evidenced in archaeological sites. The geology of this region provides for many natural resources and was an important key to the growth of Blair County during the industrial era. This rural area is positioned almost in the center of the state which allowed for access to both railroading and canal routes during its early development. Blair has a relatively low number of sites recorded in the Pennsylvania Archaeological Site Survey files at only 112 sites, one site every 4.73 sq.miles. The majority of sites date to the Late Archaic and Late Woodland period. The availability of lithic materials for tool manufacture brought Native peoples to the region for procurement of raw materials and permitted short term seasonal camps. Of note is the lack of Late Woodland village sites recorded for Blair County. Only four sites, all located on the Frankstown branch, are recorded with evidence of prehistoric pottery. The rugged terrain continued to influence historic settlement patterns as farming on steep slopes in poor soils was difficult. This steep terrain may have been what drew Native peoples to at least one ridge top site excavated by Archaeological & Historical Consultants, Inc. as part of an access road project for the Walter Business Park in Greenfield Township. Excavations at 36Bl106 provided evidence of a multi-component site dating from the Early Archaic period (10,000 to 8,000 years ago) thru the Transitional period(4300 to 2100 years ago) with varying levels of occupation. The site setting in an elevated location near a spring and above the confluence of a stream attracted these early groups. Evidence recovered suggested a site focused on tool production from blanks, bifaces and cores brought to the site as well as resharpening of existing tools. Specialized analysis including microwear analysis revealed evidence of butchering and hide-scraping. Twenty-five percent of the artifacts analyzed showed evidence of hide scraping, with indicators that both wet and dry hides were being scraped. Analysis of protein residues on stone tools indicated rabbit, deer and rat residue. Hafting of stone tools with small mammal gut has been suggested to explain the presence of rat proteins. 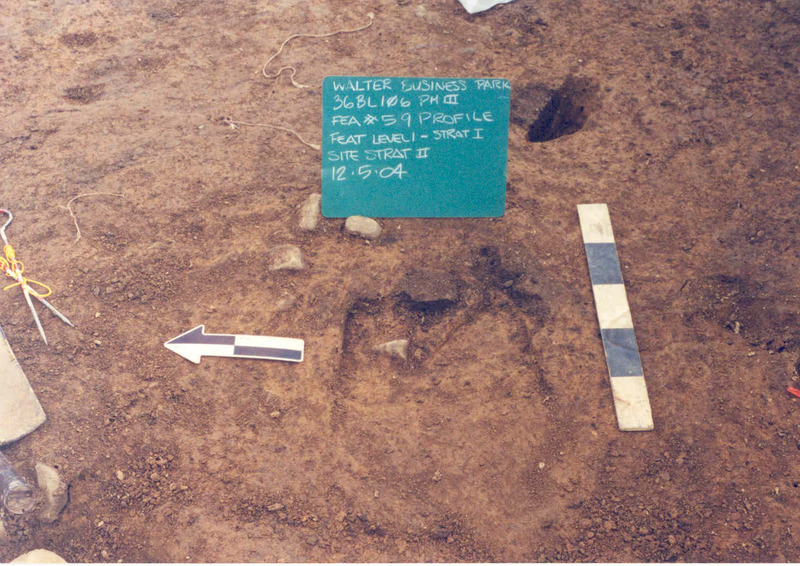 This research and analysis provided archaeologists with an increased understanding of settlement patterns in these upland settings and provided a significant contribution to the archaeological record. If you would like to view an exhibit of some of the artifacts from 36Bl106, they are currently on loan from the State Museum to the Claysburg Area Public Library. The natural resources that attracted Native peoples to Blair County also contributed to the settlement of Scotch Irish and German immigrants to the region. The mining of lead ore in Sinking Valley was an important function of Fort Roberdeau during the Revolutionary War. In 1778-1779 General Daniel Roberdeau built a fort to protect miners from hostile Indians and to aid in the mining of lead deposits. The lead ore was used to supply raw material for the Continental Army’s bullets. Archaeology was conducted here in 1939 under the direction of the National Youth Administration (NYA) using federal relief monies allocated under President Roosevelt’s New Deal . This program provided employment and training to the nation’s youth at a time of record unemployment. NYA excavations at the site of Fort Roberdeau. The Blair County Historical Society approached the NYA office in Blair County with the goal of recovering “relics” for a museum they hoped to build as a tourist destination. Newspaper clipping of proposed reconstruction in 1940. The archaeology at Fort Roberdeau was the largest excavation conducted by the NYA and provided the archaeological evidence for future reconstruction of the fort. By mid-November of 1939, an area measuring 100 feet by 100 feet was excavated to a depth of 14 inches, limestone bedrock was encountered. The archaeology revealed significant limestone deposits existed below the surface, thus the fort’s construction was unusual because stockade walls were largely built of logs placed horizontally, as opposed to the then preferred practice of driving vertical logs into the ground. Excavations at the site of Fort Roberdeau. Accounts of the excavations reported the uncovering of the foundation of a brick powder magazine, two storage buildings, as well as may utensils and artifacts. The reconstruction and museum were put on hold as funds were shifted and training focused on preparing youth for World War II. The fort became a Bicentennial Project in 1973, revived by the Blair County Chapter of the Sons of the American Revolution, dedicated on July 5, 1976. We hope that these glimpses into the archaeology of our Commonwealth will inspire you to take an interest in your local archaeological heritage. Preservation of these archaeological resources is essential to our understanding of the archaeological past. Looting of archaeological resources robs all of us of our heritage and destroys archaeological sites, preventing archaeologists from conducting controlled excavations and recovering evidence of the past. 2008 Phase III Archaeological Data Recovery Site 36Bl106, Walter Business Park Access Road. S.R. 3013, Section 004 and S.R. 3006, Section 002. Report prepared for Pennsylvania Department of Transportation, District 9-0, and the Federal Highway Administration. Archeological & Historical Consultants, Inc.
2010 New Deal Archaeology. Paper presented at Eastern States Archaeological Federation meeting in Williamsburg, Virginia. A high density of sites but few excavations of stratified sites or large villages. This week we travel to the eastern part of the Commonwealth in the Delaware drainage basin to Berks County. The county contains a wide variety of resources that were useful to both historic and prehistoric peoples. It is located at the intersection of three physiographic zones; the Great Valley, the Piedmont and the Reading Prong. The main drainage is the Schuylkill River and the largest streams are the Tulpehocken and Maiden Creek. Interestingly, the county is connected to the Susquehanna drainage basin by the Little Swatara Creek. 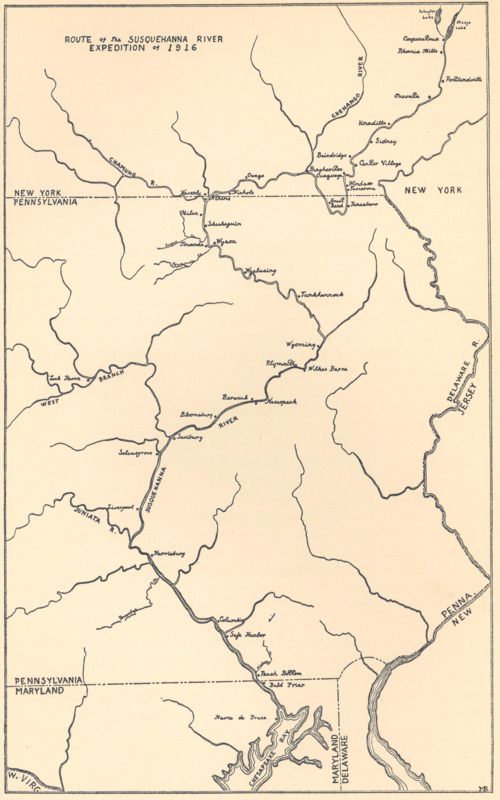 During the historic period, this was the route for a canal to connect the Schuylkill and Susquehanna drainages and it was undoubtedly used during the prehistoric period. Berks County has a very high density of sites (1 site per 0.95 square miles) and there are 842 sites recorded in the Pennsylvania Archaeological Site Survey files. They include sites dating from the Paleoindian period through the 20th century. One of the most important historic archaeological sites is 19th century Johanna Furnace. The Hay Creek Valley Historical Association has been conducting archaeological investigations at the furnace for nearly two decades. This work has been very important in contributing to our understanding of an iron workers community but also in reconstructing many of its buildings. However, Berks is a rural county and over 87% of the sites have a prehistoric component. Many archaeological surveys have been conducted and the State Museum has a pretty good representative sample of artifacts from these sites. Considering the size of the Schuylkill River and the connections to the Susquehanna drainage, it is surprising that there are few if any stratified sites or large Late Woodland villages that have been excavated and reported. Although few large scale excavations have been conducted, the archaeology of Berks County is interesting from several aspects. 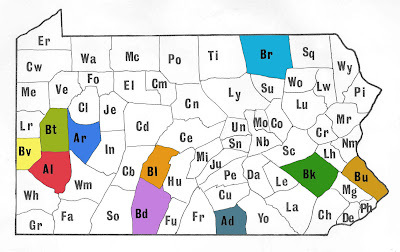 Berks County has two major lithic sources within its boundaries; jasper and quartzite, both found in the Hardyston Formation. There are eleven jasper quarries located in the eastern portion of the county and at least four quartzite quarries on the ridge to the north and south of the City of Reading. The japer quarries are mostly small (less than two acres in size) and not nearly as large as the Vera Cruz and Macungie quarries located nearby in Lehigh County. We have discussed these jasper quarries in earlier blogs. Considering the Paleoindian preference for jasper, it is interesting that there are only three Paleoindian sites recorded for the county. The main quartzite quarries are the Robesonia quarries and the Longswamp quarries. These are situated on the north slope of the ridge bordering the Great Valley. The quartzite quarries are very different from the jasper quarries. The good quality material is exposed on the surface over large areas usually ten acres or more in size. The prehistoric miners did not need to dig quarry pits to extract the material as was done with the jasper. They simply flaked the exposed bedrock and large boulders. Unfortunately, the huge quantity of flakes, broken bifaces and cores from these sites has attracted a lot of attention. This has resulted in extensive looting and the near destruction of these important sites. When will people learn that these artifacts are part of our collective heritage and should be shared by all and not squandered by a few or worse, sold on the open market such as on e-bay? The quarries are situated on slopes and likely were not convenient places for the production of tools. There are several sites in close proximity to the quarries (known as secondary reduction stations) that are closer to water and hence provide better camping conditions. One of these, the Deturk site (36BK0002) was examined by John Witthoft in the 1950s. This site is now destroyed but it contained large quantities of flakes representing early stage biface and projectile point production. Some archaeologists consider quartzite a relatively rough material for making stone tools. Although, usually broken, this site has produced some very finely made bifaces that were produced using an antler or wooden hammer. In contrast, some early stage bifaces from the Deturk site looked like Lower Paleolithic hand axes leading Witthoft to suggested that the simple technology indicated that these were very early in the Archaic period and possibly dated to Paleoindian times. He named this the De Turk Complex. This was an incorrect assumption that was made at several quarry sites and archaeologists today are aware that a simple technology does not necessarily mean the artifact has great antiquity. Approximately 190 archaeological survey projects have been conducted in Berks County in preparation for state or federal construction projects. The Commonwealth Archaeology Program conducted investigations at several sites in the county. The largest survey was conducted prior to the Blue Marsh Lake dam project located on the Tulpehocken Creek. The project was led by Pandora Snethkamp and Carol Ebright of the State University of New York at Binghamton (Snethkamp and Ebright 1982). This project was significant for several reasons. First, this investigation added to our understanding of Late Archaic settlement patterns and the evolution of cultural adaptations from the Late Archaic through the Transitional time period. Second, the work included an intensive survey of the Robesonia quartzite quarries resulting in a better understanding of how the material was extracted at the quarries and the reduction sequence used to make Late Archaic projectile points. The field work included the systematic surface collection of ten sites and three of these were test excavated. They were able to define different types of sites used during the Late Archaic based on the horizontal distribution of artifacts. The investigation also included the intensive analysis of private collections from 305 sites. It was concluded from this study that there was cultural continuity between the Late Archaic and the Transitional periods and that the Transitional period simply represents the addition of new technologies grafted onto the Late Archaic adaptation. This is not a profound idea today but, 30 years ago it indeed was. The second significant contribution of this project was the impact on archaeological surveys. The National Historic Preservation Act was passed in 1966 and required federal agencies to consider the affects of their construction projects on significant archaeological sites. Up through the 1970’s, these surveys focused on finding large villages and ignored upland areas and smaller sites. These were sometimes called windshield surveys because the archaeologists conducting the surveys frequently didn’t even get out of their cars. As we now recognize, the villages represent but a small part of the cultural adaptation so a large number of sites and data were being ignored and lost. In the Middle Atlantic region, this project changed the way in which we conduct surveys by demonstrating the contribution that upland sites can make to our understanding of changing cultural adaptations. We hope you’ve enjoyed this glimpse into the archaeology of Berks County and that it inspires you to learn more about the archaeology of your county. These resources are Pennsylvania’s heritage and for all of us it is our window into the past. Please help us preserve these important resources by reporting and recording your archaeological finds while we all Preserve our Past for the Future. 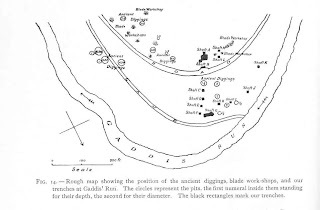 1982 The Blue Marsh Lake Project: Archaeological Studies of the Late Archaic in the Pennsylvania Piedmont. National Park Service, Philadelphia.